Quality assurance measures gain more and more importance in everyday working life. They are no longer limited to manufacturing. The aspects of quality assurance must be considered as early as in the construction phase. The tasks to be accomplished include the marking of check dimensions in drawings and the provision of data in a machine-readable format. Reitec.Testplan automates these tiresome routine tasks and reduces the workload of the design engineer. 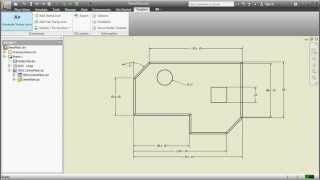 Just a few mouse clicks allow the user to mark and number automatically the check dimensions in the drawing. The design engineer can edit the results produced in automatic mode at any time. Additional functions allow him/her to add further marks or delete existing ones. An export function is available for the subsequent export of all identified check dimensions including tolerances and units to a csv-file, which is suitable for test planning in the QA system. The direct retrieval of the desired information from the drawing dispenses completely with a manual preparation of the test data for the QS system prone to errors. Reitec.Testplan marks the check dimensions with stamp icons consisting of a circle with an arrow and a unique number. The arrow tip points to the associated dimension. In addition to length, diameter and angle dimensions, Reitec.Testplan supports surface symbols and texts. •	Change to existing number. •	Detection of old file format. •	Decimal separator. •	Some dialog aren't displayed completely if display is scaled. •	“Delete all” doesn't delete all markers. •	Extension of export file name. •	Export of Testplan.Author data. Very useful addin, simple, works well and always updated! This is a very useful addin and simple to use for dimensional check. We are using it from about 2 years and works very well. We can reduce many time to mark every dimension and make an Excel table to fill for customer. It has many options and if there isn't you can ask to developer. They are very willing and answer faster. Also the app has a continuous improvement with new functions and many updates. I suggest you to tray this app.